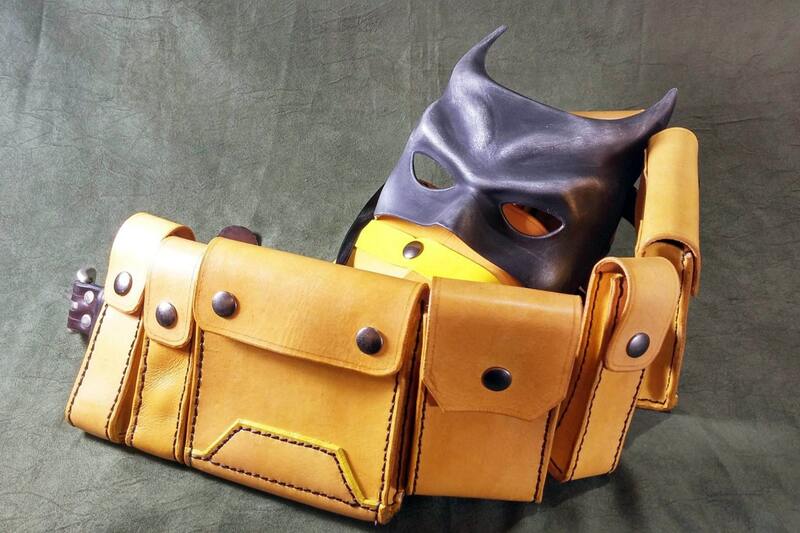 This listing is for a utility belt, inspired by the one worn in the Dark Knight Returns comic. Each pouch has a loop on the back so it can be threaded on to a belt. 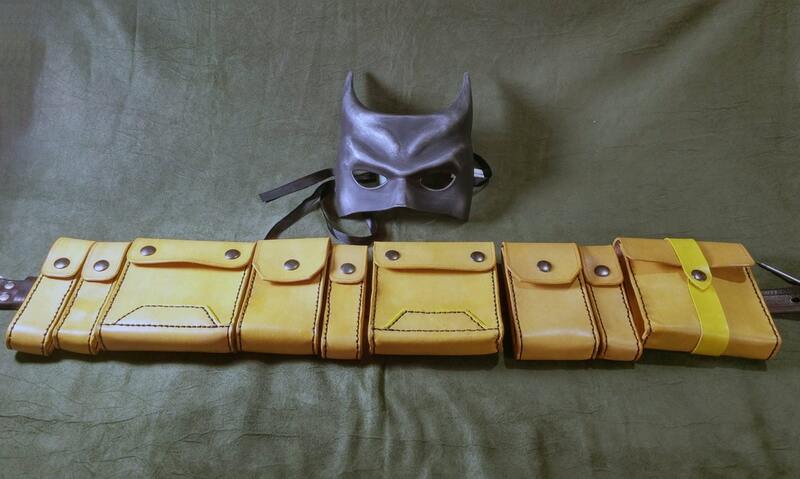 The set comes with 9 pouches, and can be ordered with a belt, or with the pouches by themselves. 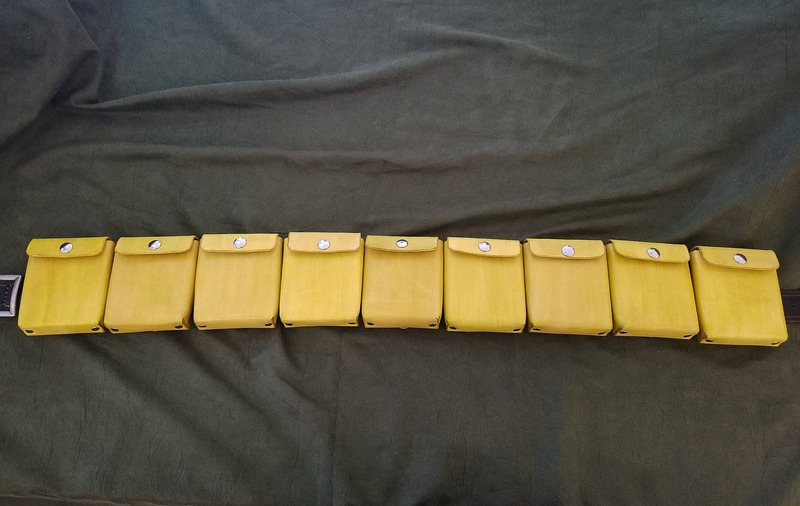 Each pouch is made out of 5 ounce Vegetable tanned leather, which is dyed yellow, and stitched together with high tensile waxed black thread. The pouches are closed via single or double snap depending on the size. 2 - 5"x5" with double snaps. 1 - 5"x5" with strap and single snap. 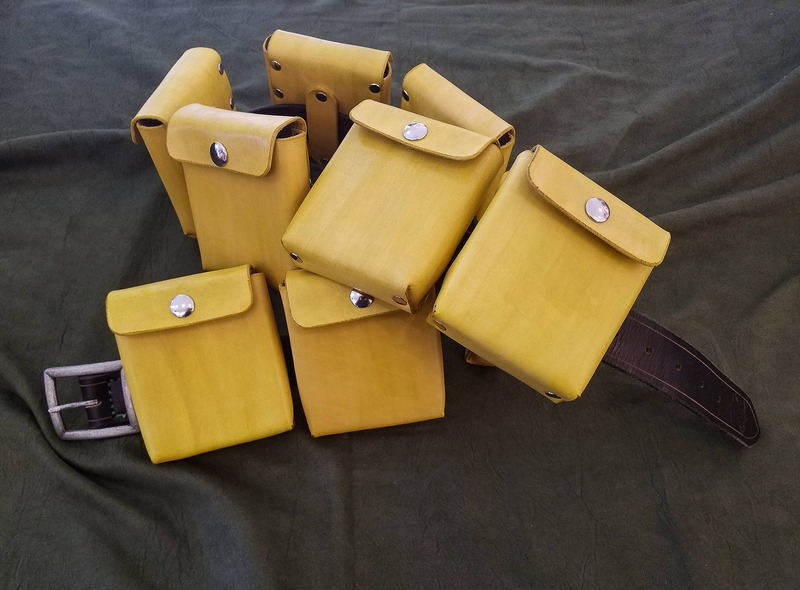 If you'd like to mix and match, and have more or less of any pouch, or for color options other than the ones listed, or for custom color options, please check out the add-on listing. If ordering the option with the belt, include your waist measurement in inches.